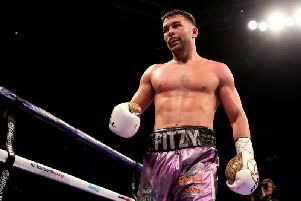 A final round knockdown paved the way for a famous victory for Scott Fitzgerald over arch-rival Anthony Fowler on Saturday night at the Liverpool Arena. 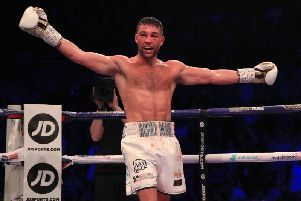 A trio of brutal left-handers from the Preston boxer, with just seconds of the 10-round bout to spare, sent his Liverpudlian opponent sprawling to the canvas. Fowler - a former GB team-mate of Fitzgerald's - managed to beat the count but when the scores were read out at the end it was the Preston man who was celebrating courtesy of a split decision. One judge scored the bout 96-94 in Fowler's favour, but the other two gave the contest to Fitzgerald 95-94. 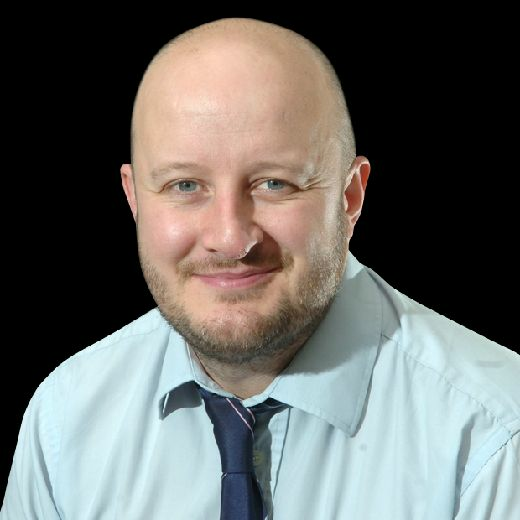 It's a night to remember for the Larches and Savick ABC fighter, who has been embroiled in a bitter war of words with Fowler on social media and in person during the build up to the fight. Fitzgerald also upset the odds as his opponent was the heavy favourite going into the fight. In front of a packed and raucous crowd, it certainly felt like Fitzgerald was the home fighter such was the support in his corner with as many as 1,000 fans making the trip from Preston. As expected, the opening rounds were a cagey affair as neither man gave an inch - leading with the jab and keeping themselves out of harm's way. It was around the fourth round that Fitzgerald began to settle into the fight as he caught Fowler with a right hander to the head and left to the body. Both fighters began to let go as the bout moved into the second half and it appeared Fowler was getting the upperhand in the ninth when he rocked Fitzgerald with a barrage of punches. The Preston fighter stayed strong and saved himself for a match-winning final round when he stunned the home man with a fierce left hand. He followed that up with two more and then jigged with delight as he watched Fowler crash to the canvas.